Who are the rest of us? 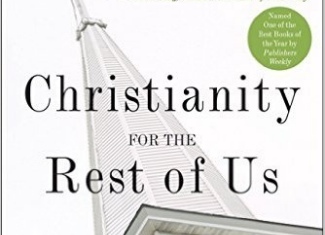 That was my first question to Diana Butler Bass about the title of her latest book, Christianity for the Rest of Us (HarperSanFrancisco, 2006). Diana said she knew right then she would use that phrase somewhere in the title. “It evokes the idea of people who are uncomfortable in what seems to be the dominant strand of churches right now—fairly conservative, megachurches, etc. We interviewed a number of former Roman Catholics who felt uncomfortable with what was going on in their tradition, too. And here are these mainline churches that serve people who don’t get much press—people who are not dogmatic in any way—looking for more open forms of community.” She said the kind of people who were discovering a home in the mainline churches (or what she calls “brand name” churches —Methodist, Presbyterian, Lutheran, United Church of Christ, Episcopal, and the like) were often people with complex lives—“things like divorces and women who felt oppressed by other religious structures” and who had questions and yearnings that did not fit with the absolute certainty, exclusivism, and judgmentalism they perceived to be characteristic of so many religious groups that are prominently featured in the media today. 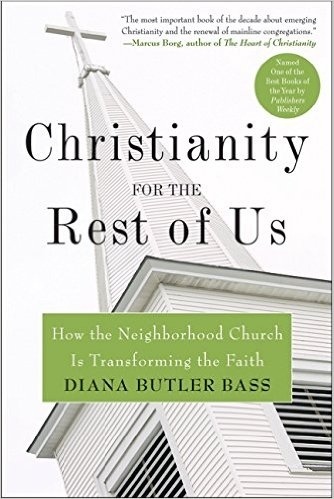 Just as some behavioral scientists have moved from asking why some people lack joy and hope and are studying instead the characteristics of happyindividuals and flourishing marriages, Diana set out to discover the characteristics of churches that are strong and vibrant, rather than asking why some churches seem to be dying. 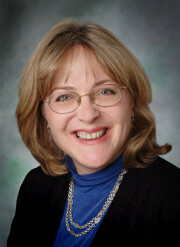 Her three-year ethnographic research project, “the Project on Congregations of Intentional Practice,” was funded by the Lilly Endowment, and was based on the simple thesis that “mainline congregations that intentionally, purposefully, deliberately, by choice engaged in Christian practices would be vital congregations. Paying attention to what you’re doing actually increases commitment among adherents,” she explained, “and even increases what I thought would be the case (and which was the case) the attractiveness of a community as an evangelistic or mission community.” She laughed. “The hypothesis was proved! It’s not rocket science.” She said that someone told her, ‘This is one of the simplest theses I’ve ever heard for a project.” And yet it had never been tested. The research on which Diana’s book was based was qualitative, not quantitative. 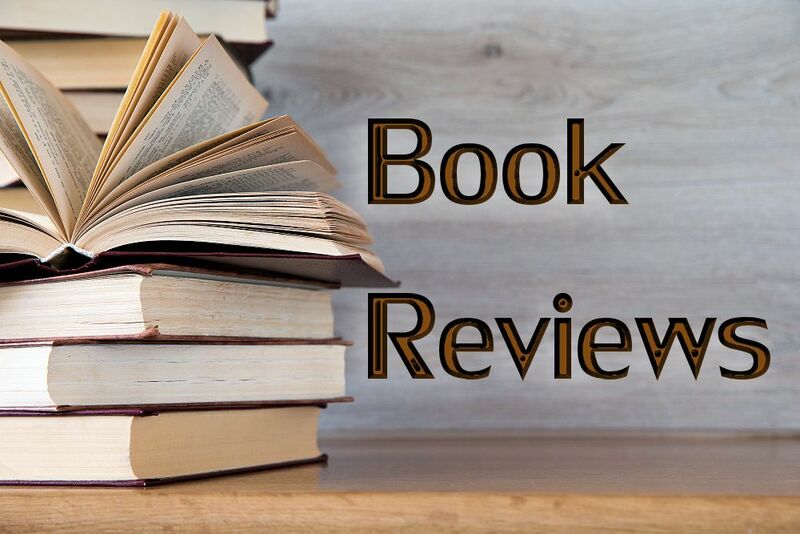 She was trying to find what made some mainline churches thrive and what they were like, rather than trying to learn what percentage of churches could be classified as vibrant. Nor was she looking for statistics that measured successful congregations by their size. (Churches she studied ranged from 35 to 2,500 members.) “All of the study churches rejected standard church-growth strategies,” she writes in her book (p.53). They were not built around such tactics as “niche marketing, sophisticated programming, capital campaigns, and architectural plans.” Rather, through interviews, open-ended surveys, and on-site visits, she and her research associate, social scientist Joseph Stewart-Sicking, closely examined the life of “fifty mainline congregations [representing six denominations] in which new things appeared to be happening, and where people were growing deeper and experiencing a new sense of identity by intentionally engaging in Christian practices” (p.5). This intentionality in engaging in Christian practices was common to all the vital congregations. People often think of Christian practices solely in terms of personal devotional disciplines, such as engaging in private prayer, reading the Bible, meditating, fasting, and other ways of drawing close to God and fostering spiritual growth for the individual. And such personal practices were indeed important in the congregations Diana studied. But she found an emphasis on Christian practices not only in a solo sense but also in community. And in addition to individual and group devotional practices, these congregations emphasized practices of another kind, namely, moral and ethical practices that reach out to others in love—practices such as hospitality, healing, forgiveness, and seeking justice. I told Diana I thought it was significant that the spiritual practices that came out at the top were hospitality, diversity, and reflection. “I love it!” she responded enthusiastically, not hiding her obvious delight in discovering the importance of these qualities as markers of vital congregational life. I then asked Diana about diversity, another of the top three spiritual practices characterizing vibrant, thriving churches. I pointed out that some conservative churches might welcome different people but they want to change them toward uniformity. “These churches didn’t demand that,” Diana said. She writes in her book: “I have often heard leaders of the religious right attack diversity as ‘political correctness,’ a kind of affirmative-action liberalism” and a sign that “secularism has invaded the church. . . . From their point of view, it appears that God wants us all to be the same—believe the same things, worship in the same way, and vote for the same political candidates. As a Christian, this surprises me. A Christian practice of diversity is not secular relativism. Rather, it is the active construction of a boundary-crossing community, a family bound not by blood but by love, that witnesses to the power of God’s healing in the world” (p.148). She said she hadn’t found feminist concerns to be separated out as big issues among churches in her study. But just as having gay and lesbian members (and in some cases, gay and lesbian pastors) was normalized, so were feminist commitments and feminist theologies. One indication of feminist influence showed up in what she calls “flattened structures of leadership.” She explained that “even if they were part of a very hierarchical denomination, like the Episcopal Church, most of these congregations had reorganized their local structures so that leadership was more shared, collaborative, networked. It was all very mutual—a real strength.” She believes this is a response to feminist commitments. Similarly, she said, “about half of the churches were very conscious about inclusive language in liturgy and theology and sermons—and public presentation of the gospel.” And although the other half used more traditional language, “there was a sense of openness attached to it, so that if someone came along and said, ‘I feel uncomfortable when I hear this language,’ the person who had been approached would probably say, ‘I’m sorry. I’ll try to do better,’ rather than getting defensive. These are communities where openness and questions were welcomed and where varieties of perspectives and diversity were not taken as issues,” Diana said. “When I think of issues, I think of things that divide congregations.” She was encouraged by what she saw, including the fact that almost all of the churches had women pastors on the staff, either as senior pastors or associates. A couple of the churches had gay or lesbian senior pastors. “I always feel when I am with these people that they are the very best of the mainline,” Diana said, “and I realize that not all of the mainline is doing so well.” Nobody knows how many vibrant, spiritually flourishing mainline churches like these are out there. A best guess estimate from a friend of hers at Hartford Seminary thinks “somewhere around 5 or 6 percent of mainline churches are showing some level of some of these traits. It’s a low percent,” Diana says, “and also a kind of qualified percent—some level of some of these traits.” At the same time, she sees signs of encouragement, not only in mainline Christian churches but also within “Synagogue 3000,” an emergent spirituality movement for revitalization within the Jewish community, with whom she also works. Diana makes a distinction between tradition and traditionalism (“the way we’ve always done it”) in churches. One surprise she found in her research was the way vibrant mainline churches were “engaged in tradition as though tradition was not a finished act,” she said. “Instead, tradition was an open journey in which a congregation could participate. How this renewal of tradition relates to Christian practices is marvelous! Tradition doesn’t just float around disembodied. Tradition is always lived out by a community, and that’s where we get all these practices, and then the practices connect people with the traditions, those great stories and those big themes and arguments that the church has had over the last 2000 years. And so tradition and practice always live this life of mutuality as vital systems. That’s when Christianity is the strongest—when these two pieces are connected. Tradition is not a stopper or piece of art work in a museum that you’re never allowed to touch.” For Diana, tradition is the clay to be molded, the palette of colors to be worked with, not the finished statue or painting on the wall.